2010 was a funny old year. We lost a Labour government and had an election that nobody won. We discovered that no matter how many millions you spend on a bid, we are never getting the football World Cup. And we learnt that sometimes, just sometimes, what appears to be a good bike sold at a good price is indeed just that. And how. 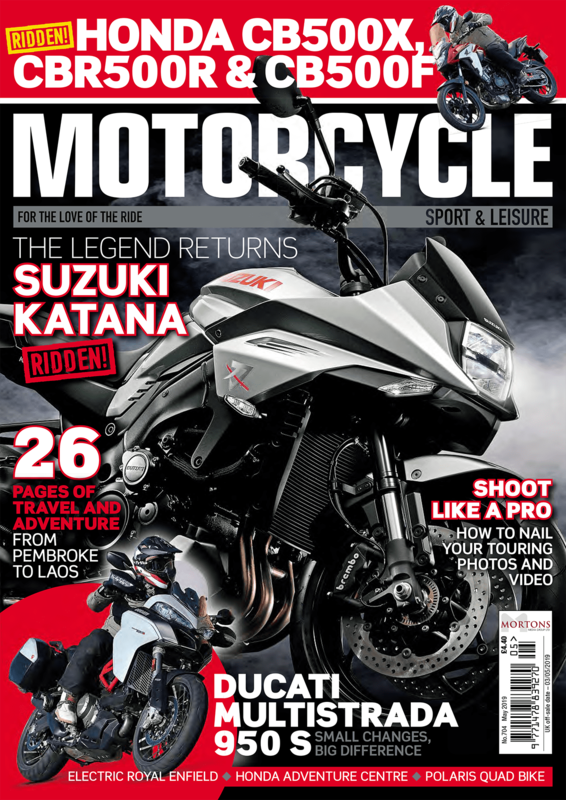 Take one of MSL’s favourite motorcycles – the Kawasaki Versys. Designed as a basic and economical roadster able to cope with a wide variety of duties, as well as making their execution simple and straightforward, the Versys is an impressive bit of kit. Job done then. But look a bit closer and you’ll see why. The tall riding position and long travel suspension help with a ride that’s involving and fun at the same time, at first glance you might even think that the Versys has something of a leaning towards a bit of Adventure bike riding (bear with me here), with maybe just a set of knobbly tyres absent to complete the picture. From my point of view I especially like its stacked twin headlight arrangement and genuinely can’t think of another bike that looks quite like it – which is a big plus if you fancy owning a bike that looks a little bit different to the norm. Basically, it’s top drawer but maybe I’m getting a bit more conservative in my tastes these days because for me the fly in the ointment is the rather generous use of plastic parts slapped on the Kawasaki, they make it look a little cheap, I think. Elevated enough to let you see over the traffic and generally get a clearer view of the road ahead, the riding position is most welcome on the move and it really fits in well with the bike’s easy-going nature. You might curse the 845mm seat height a little if you’re a bit short in the leg but most riders should be able to cope. Virtually all will find the Versys’ comfort level good enough to see out rides between fuel stops of, on average, between two-three hours or 150-200 miles. Another plus is in the wind protection department: Impressive at pace and even the distance between the bars, footrests and seat is generous enough to accommodate even longer-limbed riders without cramping. The saddle is sufficiently plush and supportive to allow day-long riding too. Among a selection of official aftermarket accessories, there’s a gel seat for those with more sensitive behinds. 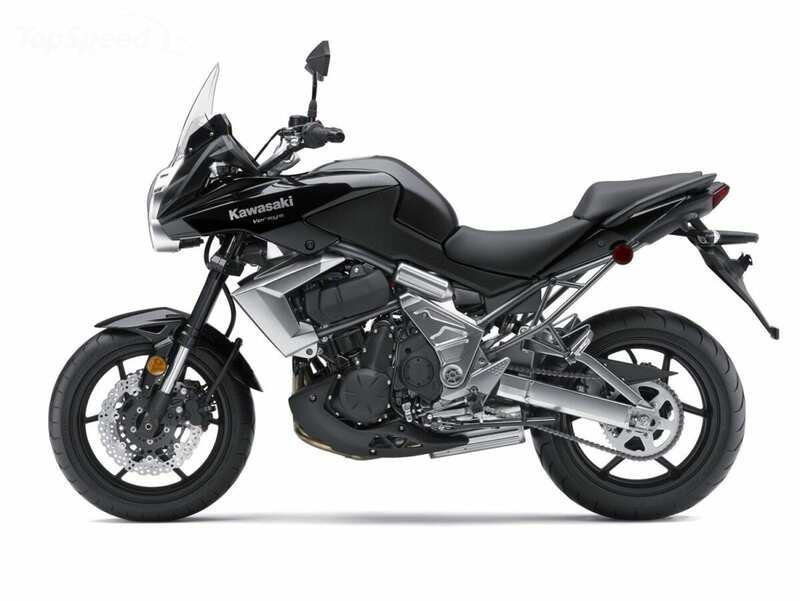 But look, let’s be honest here, the Versys does so much so well that generally speaking, the bike doesn’t warrant any extra damage to your credit card to improve it – the Kawasaki does what you ask of it competently enough in standard trim. One exception for some riders though might be the suspension which sadly stops the handling getting a full score. There’s a slightly crude and underdamped feel when you’re asking a lot from it. The general ride quality and control both the forks and rear shock offer is OK most of the time, but start running over poorly surfaced roads and the wheels and tyres start struggling. Add more speed to the equation and the suspension’s composure falters further still. It’s not helped by the wooden feel from the OE Dunlop tyres which do little to assist. To be fair, increasing the rebound damping at each end of the bike improves matters quite considerably, but I’d still say the suspension is the weakest point of the bike’s chassis. Even braking raises an eyebrow or two because it’s all good stuff. The low-spec brakes do a surprisingly impressive job (ABS is an option for another £400). They’d probably do even better if the fork could control the front end better, and the tyres offered more grip. I’m sure for the vast majority of the time most riders will consider the Versys to be a machine with more than capable handling. The free-revving twin cylinder engine easily makes enough speed to please all but the most needy, there’s a nice character to the motor which helps give the bike some personality, while also making it practical and fun to use. Typically torquey and flexible, the parallel twin also has a sense of urgency and excitement about it once you get above 7000rpm. It’s by no means peaky, and though the best and strongest drive lies above that point, there’s no real need to send the tacho needle up nearer to the 10,500rpm redline with any regularity to ensure healthy progress – though the paradox is that if you do head towards the red line the little Kawasaki always feels fulfilling. Around town, at lower rpm, throttle response is sufficiently sharp and prompt to let you cope with any changes in circumstances with ease. It’s a very friendly engine with different sorts of rewards on offer throughout the rev range, though the ease with which it can be used is still its main virtue. Ironically it’s perhaps one of the reasons the Versys seems to lack a bit of sparkle when you first ride it. But once the versatility of the 650 becomes apparent, then so does your admiration for it. Much like some of my very favourite all-rounders like the Suzuki 650 V-Strom and Burgman scooter of the same capacity, the Versys ended up earning much respect. I’ve always had a soft spot for machines that can be pointed in any direction for any length of time and relied upon to cope with a multitude of roles competently and effectively. The Kawasaki is one of those do-anything bikes. But thanks to its comfort and flexibility it can also perform equally well as a tourer regardless of where and how far your journeys take you. It doesn’t matter where you ride the Kawasaki – twisting back lanes, busy city streets, or monotonous motorways – you’re more than likely to feel at home on it. It’ll suit a broad range of riders too. Obvious candidates are newcomers and those short of recent experience. For them the Versys isn’t quite perfect, but all things considered it’s not too far short. But even riders with lots of miles on their clocks could end up finding the easy-to-live-with Kawasaki attractive. Unremarkable it might be, the Versys is just too efficient and effective to be ignored. Especially if you give it a chance to show that.